The military intervention in Yemen by a US-backed coalition of Arab states will undoubtedly inflame the conflict both in Yemen, and throughout the region. It is likely to be a protracted war involving many actors, each of which is interested in furthering its own political and geopolitical agenda. However, it is the international reaction to this new regional war which is of particular interest; specifically, the way in which the United States has reacted to this undeniable aggression by its Gulf allies. While Washington has gone to great lengths to paint Russia’s reunification with Crimea and its limited support for the anti-Kiev rebels of eastern Ukraine as “aggression,” it has allowed that same loaded term to be completely left out of the narrative about the new war in Yemen. So it seems that, according to Washington, aggression is not defined by any objective indicators: use of military hardware, initiation of hostilities, etc. Rather, the United States defines aggression by the relationship of a given conflict to its own strategic interests. In Crimea and Ukraine, Russia is the aggressor because, in defending its own interests and those of Russian people, it has acted against the perceived geopolitical interests of the US. While in Yemen, the initiation by Saudi Arabia and other US-backed countries of an unprovoked war with the expressed goal of regime change, this is not aggression as it furthers Washington’s interests. On March 25, 2015 a coalition of Arab states initiated an aerial bombardment (as of writing there has yet to be a ground invasion, though it is expected) of Yemen for the purposes of dislodging the Houthi rebel government which had weeks before toppled the US and Saudi-backed puppet government of Abed Rabbo Mansour Hadi. The war initiated by Saudi Arabia, along with its fellow Gulf monarchies and Egypt, was motivated purely by Saudi Arabia’s, and by extension the United States’, perceived interests. Within hours of the commencement of the bombardment, reports from Yemen indicated that dozens, if not scores, of Yemenis had been killed in the airstrikes. Despite the immediate loss of life, to say nothing of the destruction of infrastructure, buildings, homes, and communities, the United States praised the operation as necessary for regional security. Indeed it has been confirmed that, while not providing direct military support in the form of troops or air support, the United States has been intimately involved in the operation. Saudi Arabia, Gulf Cooperation Council (GCC) members, and others will undertake military action to defend Saudi Arabia’s border and to protect Yemen’s legitimate government…In support of GCC actions…President Obama has authorized the provision of logistical and intelligence support to GCC-led military operations. While U.S. forces are not taking direct military action in Yemen in support of this effort, we are establishing a Joint Planning Cell with Saudi Arabia to coordinate U.S. military and intelligence support…the violent takeover of Yemen by an armed faction is unacceptable and that a legitimate political transition…can be accomplished only through political negotiations and a consensus agreement among all of the parties. So, in Washington’s own words, the aggressive military intervention into Yemen is both legitimate and supported by the US. Moreover, the US has openly acknowledged their direct participation in the campaign in the form of intelligence and logistical support. Exactly what is entailed in “intelligence” and “logistical support” is certainly open to interpretation. Undoubtedly, the US has its covert forces involved in the operation, likely on the ground in Yemen, to say nothing of its vast presence throughout the region. In fact, it is universally recognized that the CIA has been intimately involved in Yemen for at least the last several years, with CIA Director Brennan having been integral in fostering the relationship. 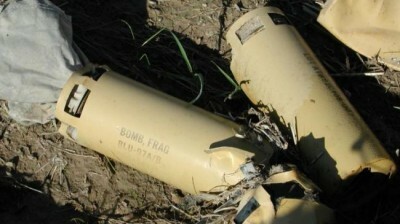 As the NY Times reported in 2012, the Obama administration’s approach in Yemen was “to employ small numbers of Special Operations troops, Central Intelligence Agency paramilitary teams and drones.” It should be further remembered that Hadi himself was handpicked by Washington in the wake of the fall of former President Saleh’s government, and that Hadi, described by the US as the “legitimate” president ran unopposed in a farcically described “democratic transition” sponsored by the US. Taken in total then, it is objectively true that the United States has been involved militarily in Yemen since at least 2012, propping up their man in Sanaa in order to bolster their geopolitical and strategic position in the region, naturally under the aegis of “fighting terrorism.” So it stands to reason that the White House would refer to the Saudi aggression as legitimate, and praise it as such. It is equally true that the so called “legitimacy” of the military operation, and the Hadi government itself, is dependent on US interests, nothing less. Now compare the language employed by the US vis-à-vis this war against Yemen, with the talking points endlessly repeated by all US officials, and nearly all media pundits, regarding Russia’s actions in Crimea and Ukraine. Everyone from Republican warmongers like John McCain, to State Department spokesperson (and unwitting comedic icon) Jen Psaki, have all described Moscow’s moves as “Russian aggression.” Indeed, it seems that phrase alone has become something of a mantra in Washington, and on the airwaves of its servile and compliant corporate media, framing the narrative as “clear and unmistakable aggression against Ukraine’s territorial integrity” and other such vacuous phrases. But consider for a moment the objective facts. Russia’s direct military interests in Crimea, not to mention the safety and freedom of Russian-speakers, was under direct threat after the US-sponsored coup in Kiev toppled the corrupt, but democratically elected, government in February 2014. In response, Russia launched a limited military operation to secure Crimea and its interests. This is critical because this operation was carried out with no bloodshed, no airstrikes, and not a single shot fired. While this aspect may be forgotten amid the din of belligerent shouts and incredulousness from Washington, it must not be forgotten by keen political observers. In point of fact, Russia’s “aggression” in Crimea was entirely peaceful, and as is self-evident, entirely defensive. On the other hand, the “legitimate” actions of the US, Saudi Arabia and its allies do not constitute aggression. Well, it is clear that the dozens (by now likely far more) of families who have lost fathers and sons, wives and daughters in the airstrikes would certainly call it aggression. It should also be noted that, unlike in Crimea where the people were given the opportunity to decide their own fate democratically, the people of Yemen are being given no such opportunity. There has been a domestic insurgency for years in the wake of the civil wars and reunification of North and South Yemen, and whatever stability might have been provided by the new Houthi-led dispensation has now fallen by the wayside. Moreover, the notion that Yemen was a functioning country under Hadi would be like saying that France was a functioning country under the Vichy regime. The overthrow of Hadi opened the possibility for a truly independent nation to emerge. This Saudi Arabia and its allies simply could not abide, as it would set a dangerous precedent for its own domestic opposition which, quite correctly, sees the House of Saud as little more than a proxy of the US and Israel. Consider also the rhetoric of “aggression” regarding Russia’s very limited support for the anti-Kiev rebels of Donetsk and Lugansk. Listening to western media, one would think that Russian military had invaded en masse in those regions and was fighting a war against Kiev’s military. The reality is that, despite dozens of accusations and hundreds of news stories, there is still no evidence of any direct Russian military presence in eastern Ukraine. It is true that there are Russian volunteers and some Russian hardware, but these are hardly evidence of any invasion, let alone even military support of the scale that the US has justauthorized sending to Kiev. Even a Russophobic perspective would have to admit, however reluctantly, that Russia’s presence in eastern Ukraine is minimal and indirect. Now compare that to the outright bombardment using massive military capabilities being carried out by the Saudis and their allies in Yemen. In a matter of hours, this US-backed alliance has employed more military hardware, and wreaked more devastation, than Russia has in more than 12 months. The question of scale is critical. Russia quite correctly perceives a threat to its own borders and interests from the US-sponsored Kiev regime, and it has acted with a great degree of restraint. On the other hand, Saudi Arabia, which also perceives a Houthi-controlled Yemen as a threat to its borders and interests, has unleashed a massive military campaign to destroy the movement and effect its own regime change to reinstall Hadi. It could not be clearer the level of hypocrisy from the US, its allies, and the compliant media. Russia is an “aggressor” while Saudi Arabia is a “defender.” Iran is sponsoring regime change in Yemen, while the US merely supported “democratic forces” in Ukraine. Assad must go, but Hadi must stay. Not to belabor the point, as it is obvious on its face, but legitimacy and illegitimacy is conferred by the US based on its interests, not international law or objective facts. That this is well known in the non-Western world is undeniably true. However here in the US, and in the West more broadly, the narrative is shaped by those in power who seek to further their own agendas. They choose the words, and they dictate what is and is not acceptable. They are the Ministry of Truth, and the thought-criminals who question their narratives are dangerous subversives and propagandists. In truth however, those who question those narratives are the ones who have consistently been on the right side of history, from Vietnam to Iraq to Libya, Syria, and Yemen. And I, for one, am proud to count myself among them.